On June 27th and July 3rd, Smithsonian Folkways will present two free concerts on the National Mall in Washington D.C. as part of the 2010 Smithsonian Folklife Festival! 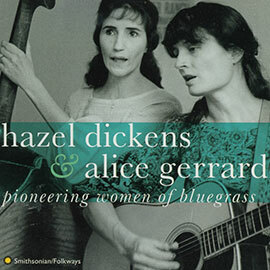 On Saturday, July 3rd, the 2010 Ralph Rinzler Memorial Concert features pioneering women of bluegrass Hazel Dickens and Alice Gerrard and singer, scholar, and activist Bernice Johnson Reagon. The concert will honor Folkways Records founder Moses Asch (1905-1986), for whom Dickens, Gerrard, and Reagon recorded several albums. The concert will be at the "Asian Fusions" stage from 6-8 p.m.
On Sunday, June 27th, Smithsonian Folkways presents an evening of Latin American music featuring Chanchona Los Hermanos Lovo and Los Reyes de Albuquerque. Los Hermanos Lovo, based in Leesburg, VA, play Cumbia dance-music from El Salvador that will be featured on an upcoming Smithsonian Folkways album. 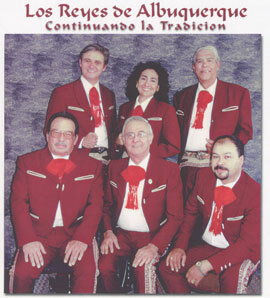 Los Reyes de Albuquerque perform a variety of traditional genres such as corridos, polkas, and canción ranchera from northern New Mexico. The group has entertained audiences with traditional music for more than 50 years and their co-founder, Roberto Martínez Sr., recently donated his life's work, Minority Owned Record Enterprises (M.O.R.E.) to the Smithsonian Folkways collection. The concert willl take place at the El Salón de México Stage from 6-8 pm. Both concerts are free and open to the public. Please visit festival.si.edu for more information.